Impressive, camera-festooned entrance to the Vaucluse home of Serge and Victoria Golman. Tax agent Frank Bruzzano leaving the Federal Court on Friday, August 31, 2018. Photo copyright: INO Images. What a liquidator and ASIC jointly affirm in an enforceable undertaking (EU), a tax agent can seemingly refute in a few hours of public examination. 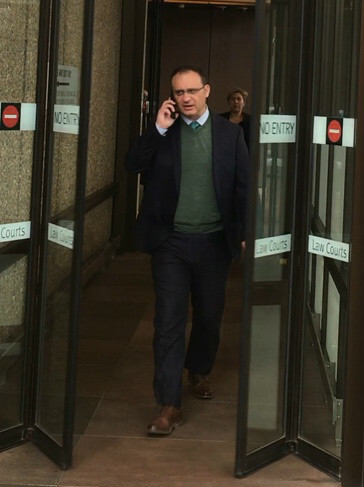 Such was what INO witnessed last Friday in the Federal Court as accountant and registered tax agent Frank Bruzzano denied ever having provided advice on the solvency or otherwise of any company or client, including Lidcombe Plastering Services Pty Ltd (LPS), its director Serge Golman or his wife Victoria Golman. This was news to Sharp and Simon Cathro, who as liquidator of LPS is conducting public examinations to determine whether the substantial sums the company owes the Australian Tax Office (ATO) can be recovered, potentially from Mrs Golman who in mid-2012 received three cheques totalling $630,000 from LPS and owns four eastern suburbs properties and another at Leura in the Blue Mountains. Clearly this plastering lark’s a gold mine. Having secured and scrutinised a variety of documents from various sources including from Bruzzano & Associates about LPS and the Golmans, Cathro and his legal advisors were firmly of the view that Bruzzano must have had some involvement in Serge Golman’s decision to obtain the services of an insolvency practitioners back in 2012. Not a bit of it. 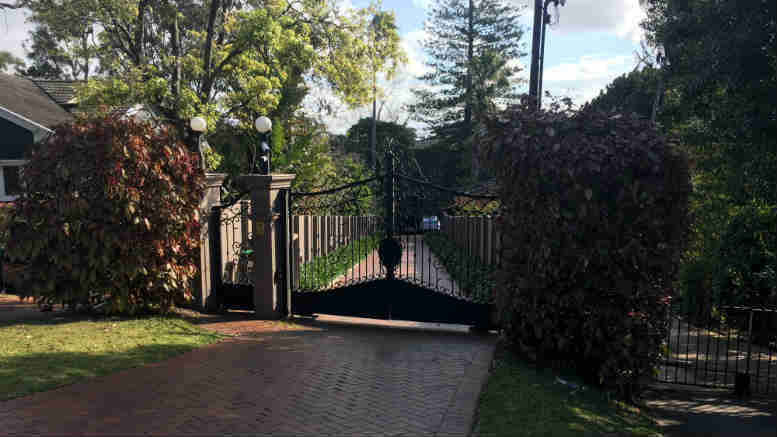 “In matters of solvency, Mr Golman would go to see Mr Hill,” Bruzzano said, referring to now deceased liquidator Graham Hill, whose offices were conveniently located near the Bruzzano & Associates office in the Sydney suburb of Drummoyne. “I don’t get involved in that,” Bruzzano added. This would’ve also been news to ASIC, given it was only in December 2015 that Bruzzano was identified as one of the main referrers of insolvency appointments to liquidator Adam Farnsworth. “A reasonably competent liquidator would have recognised that such a relatively large value of referrals to him personally from one referrer would result in a perception that he had become dependent on that workflow and thus in his conduct of the external administrations of MKC, Whitehaven and Parsset, he may not have been perceived as independent and should not have taken those appointments”. Nor was Bruzzano’s insistence that he didn’t get involved with solvency issues the only eyebrow raising response he made under question. In response to queries about Serge Golman’s 2011 tax return he said that it was not unusual to accept the oral instructions of a client in relation to the verification of income when that client was self-employed. And he dismissed as “a marketing tool” references on the Bruzzano and Associates website to the provision of Business Restructuring services. Yet it takes just a click on the Bruzzano & Associates to see under the heading ‘services’ that business restructuring is on offer. Bruzzano & Associates is one of a number of parties which have been ordered to produce documents for Cathro, who is the fourth insolvency practitioner to have been appointed to LPS since 2012. The examinations are set to continue later this week and follow a significant win Cathro had in the Federal Court last month against Victoria Golman, who objected to notices to produce served on her and a number of other parties by the Worrells’ partner. Interestingly, one of those parties is Thakral Capital Australia Pty Ltd (TCAP), which according to the judgement of Justice Jacqueline Gleeson in Cathro, in the matter of Lidcombe Plastering Services Pty Limited (in liq)  FCA 1138 lodged a caveat over two of four properties in Mrs Golman’s name claiming an interest as chargee under a security instrument dated 26 April 2017. It’s probably a coincidence but Serge Goldman and TCAP executive director Victor Shkolnik are both originally from Odessa in Ukraine. 1 Comment on "Tax agent cannot recall referring appointments"
Multiple failed businesses but multiple assets – go figure!